Lately the Big Sister has decided that she doesn’t like zucchini. A very dear friend of mine spends the majority of her waking minutes picking these little green treasures, so this simply will not do. The parenting bibles suggest that I just keep serving it to her until she changes her mind – but I haven’t got that much time. Frankly, every time I hear her declare “I don’t like zucchini” at the Zucchini Farmer’s dinner table I will the earth to open up and plant me in the paddock along side the poor maligned vegetables. So this morning I set out to buy the zucchini some four-year-old love. 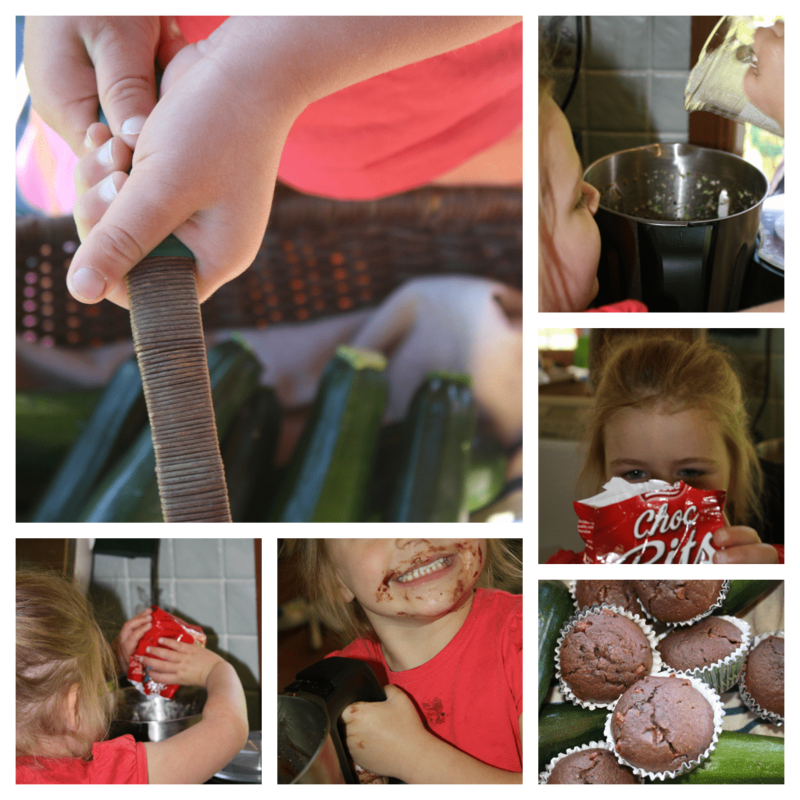 So, I figured if I added a bit of zucchini into the mix, she might realise that courgettes are actually pretty cool. Line a muffin tin with twelve patty cake tins. Add the zucchini to the thermochef bowl. Process for 15 seconds, speed 6. Add egg, oil, sugar, vanilla to the bowl. Process for 15 seconds, speed 4. Add the remaining dry ingredients (cocoa, cinnamon, baking powder, baking soda, salt and flour). Process for 15 seconds, speed 5. Finally, add the chocolate chips and stir – speed 2 for 30 seconds. Divide the mixture between twelve prepared patty cake tins. Bake for 25 minutes or until the top of the cakes spring back when lightly touched. The patty cakes are delicious. Will they buy the courgette some kudos? Only time will tell! Looking for a non-thermo method? I’ve adapted this recipe from one I found on epicurious. You can find the non-thermo recipe over there. While you’re there consider downloading their app – seven million people can’t be wrong! Since writing this post, I learned that when considered botanically the zucchini is actually the swollen ovary of the zucchini plant. Swollen or not, there’s something decidedly off-putting about consuming an ovary. Choc chip and swollen ovary patty cakes anyone? 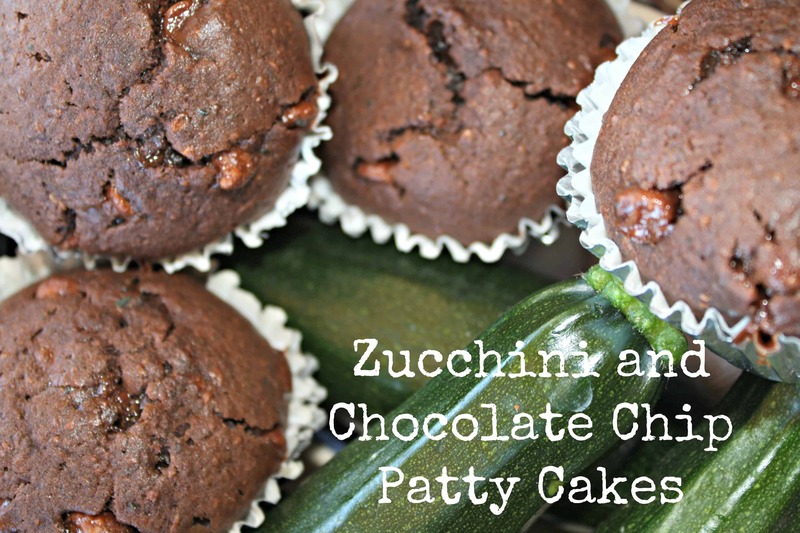 I am making the Choc chip and swollen ovary patty cakes today! the boys love them and we are having friends over for a rainy day playdate after school. Perhaps I will just tell them they are chocolate cup cakes!